Mark your calendars and get your kids' sweet tooth ready! 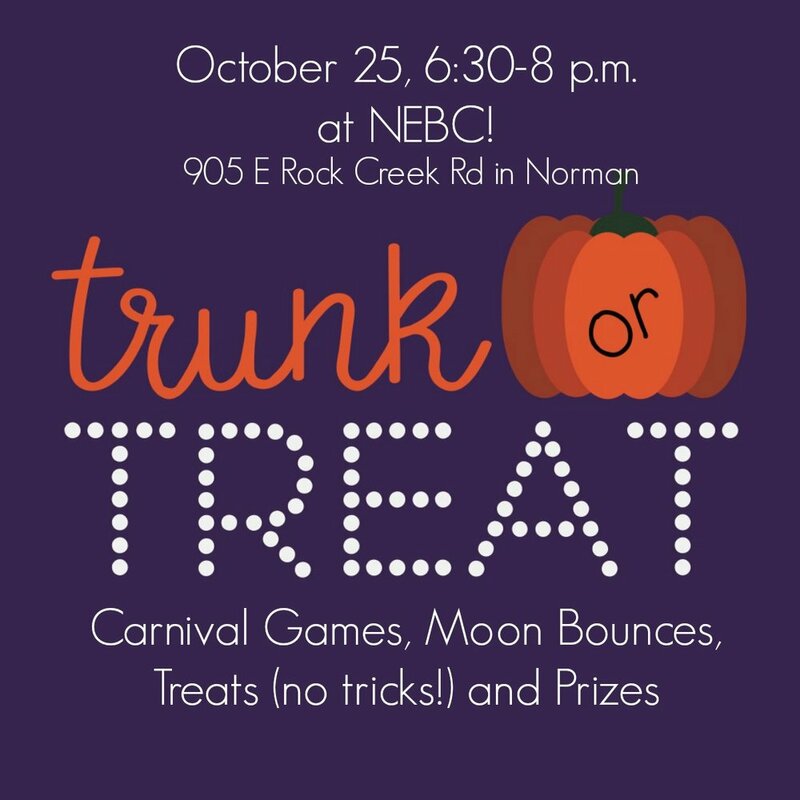 Trunk Or Treat is October 25, 6:30-8 at NEBC. We'll have carnival games, moon bounces, treats and prizes. We also need donations of candy, and participants who will decorate their vehicles and pass out candy. Contact Shane Babcock at sbabcock@nebaptist.com if you would like to help out.